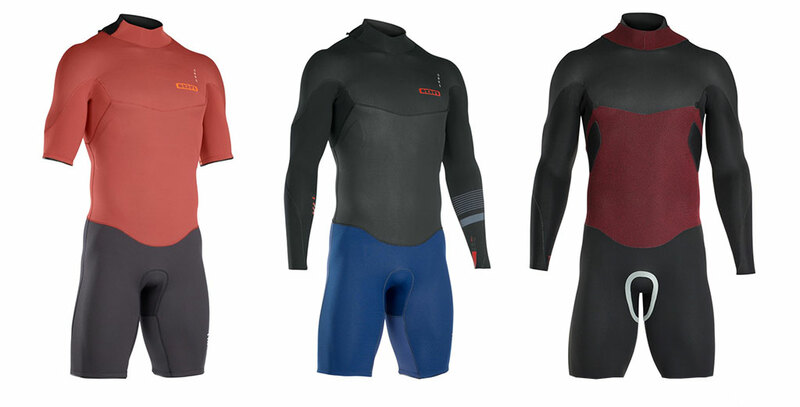 A mid season wetsuit is all about giving you more time in the surf, and maximising your performance when you do surf. In mid-range temperature water you could use your bulky winter steamer or chill in boardshorts. Some surfers do. 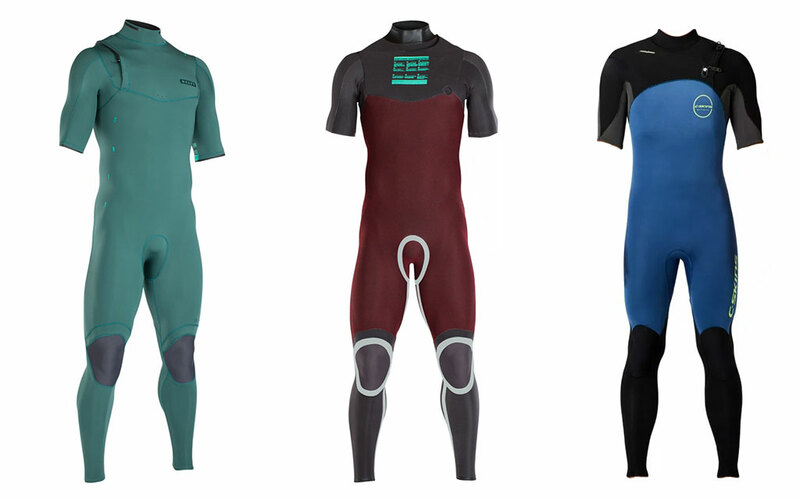 A mid season wetsuit is the better option to keep you surfing optimally. You get warmth and flexibility, comfort and lighter weight performance. You’ll be surfing your best in the mid season chilly mornings and blustery late afternoons. Having multiple wetsuits may not be for everyone. If you surf everyday, if you want to get the first and the last of the day’s waves, and surf your best in them, then you know the value of having the right setup. If you have surfboards to match wave conditions- a fish or grovellor for smaller waves; a daily driver; then stepup; similarly, it makes sense to have wetsuits to match your surfing environment too. A mid season suit gives you the edge over the environment, getting you out there, getting waves, performing optimally. A mid season suit can be a spring suit or short sleeve steamer. A spring suit comes with either short legs and either short or long arms. 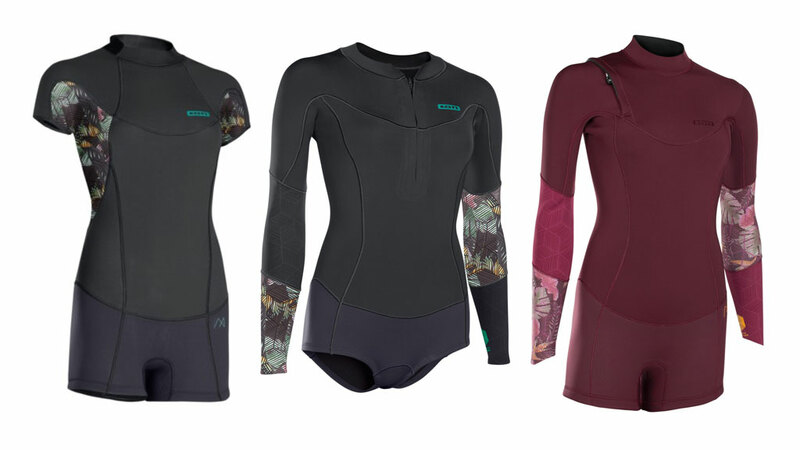 The other mid season wetsuit, a short sleeve steamer, comes with long legs and short arms. Apart from the suit shape, the thickness of the neoprene is what sets a mid season suit apart from your winter steamer. The neoprene used would be 2mm or a 2mm-1mm combination. compared to 3-2mm or 4-3mm in your winter suit. It may be that there’s a manufacturing sweet-spot involved but 2mm suits typically have amazing neoprene. The neoprene seems much higher quality. You get flex, warmth, more resilience when compared to your winter steamer. A mid season suit is not just a downsized steamer. They definitely have their own character and features adding to your mid season surfing. Spring suits come in two formats, long sleeve and short sleeve. The choice between them comes down to personal preference. It’s worth giving both a try. The long sleeve spring suit gives you that little extra comfort. Your upper body has complete coverage from the elements. This coverage protects your from cool water chill, blustery wind chill, and scorching sun. If you’re concerned about UV the long arms are a definite deciding factor. In all other features the long sleeve spring suit will be the same as its short sleeve counterpart. The short sleeve spring suit gives you a feeling of freedom. If you’re surfing more during the day, and don’t mind the UV, then you won’t need the warmth provided by longer arms. The shorter sleeves definitely add to ease of paddling. The feeling of freedom flows through to your ability to get waves and do bigger moves. Compared to boardshorts, with a spring suit your lower body, espcially lower back and groin, feel protected and supported. The additional warmth also acts as a safeguard against strain or injury. The short sleeve steamer is not just a winter steamer with short arms. There’s a very different feel to the short sleeve steamer, differing from that of a spring suit too. In a short sleeved steamer you feel streamlined. Your lower body is fully covered. So you get warmth and comfort. You feel supported and more able to go with big torso twisting power moves. Your arms though are free to power your paddling, power your body torque. With the neoprene extending over your lower body your centre of gravity is lowered. You feel more stable, sure footed on your board. 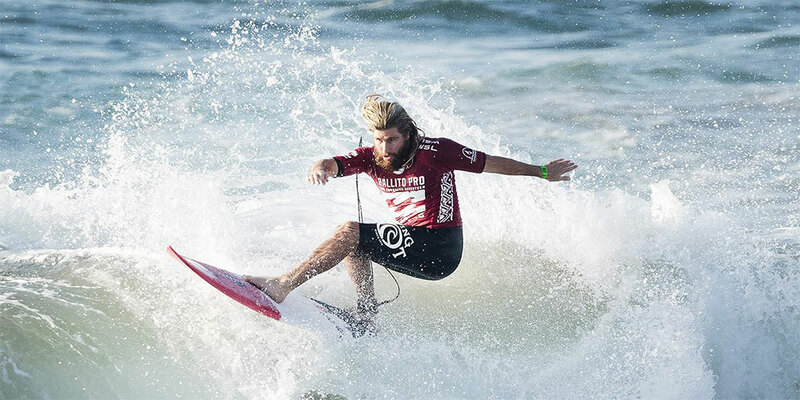 The short sleeve steamer is often used by Pro surfers when they want extra performance in a colder environment. When they’ve been wearing their heavier winter steamer the change to their short sleeve lighter weight suit gives a performance boost. A rich set of features are on offer in your mid season suit. Different brands and different models within a range can differ in the cut of the suit. Around the shoulders are where some of the most pronounced differences can be seen. Some have an off the shoulder cut where the seam runs close to the edge of your shoulder. A raglan cut that goes from your neck across to your bicep provides additional stretch as there’s no seam to pull against. An extension of the raglan sleeve extends the whole upper body piece from bicep to bicep providing great flexibility, aiding paddling. Zipless suits, as with winter steamers, provide additional flexibility as there’s no plastic zip to pull against. However zipless spring suits can seem to lack form so check how each brand implements this feature. Suits can also have flex panels on the sides to aid lower back and lower body fit. On lower end mid season suits you get the option of flatlock stitching. This stitching is robust and durable. The drawback is, though it looks like it gives a definite sealing of the seam, it actually leaks water. If you’re surfing in warmer water this is not so much of a problem. The stitching also can rash or chafe. The trade off is that flatlock mid season wetsuits tend to be good value. The next step up in features is seam sealing. This comes in the form of GBS, Glued Blind Seams. These seams are identifiable by their smooth finish on one side. Because there’s no stitching against your skin the GBS suit will give you extra comfort. Keeping water out means your body will be warmer, less likely to overstretch and sprain. Some or most of the GBS seams may be taped. This additionally limits water entry. In areas around the crutch this tape also adds to the strength of the thinner 2mm neoprene increasing your suit’s durability and longevity. Sealing is worthwhile as if the environment warrants wearing a suit you want it to work at its best. A sealed mid season suit can be very versatile. They’re great for early pre-sunrise surfs in mid season and summer. They can even be used in winter on warmer days when the sun is adding warmth. In a sealed mid season suit in the sun you may overheat. If this is the case, just take it off. The quality of neoprene varies between the lower and high end suits. To give value, flatlock suits may use a lower flex, warmer neoprene on the body with high flex panels on the upper body. This gives you good paddling with only a marginal reduction in body flexibility. This mix and matching of neoprene increases the value proposition of the suit. Flex neoprene is used throughout on the performance oriented mid season suits. Flex neoprene gives maximum freedom of movement for paddling and for big moves. These suits tend to offer better fit as the neoprene is more supple fitting to your body contours. If you’re finding a less expensive suit doesn’t fit quite right then an identical size suit with higher quality neoprene will likely be the best option. As you look at the models in the mid season wetsuit range you can see that the higher end models start to include fleece. These plush linings add to your comfort and the warmth of your suit. They’re not essential though and if the suit is sealed, the standard normal neoprene finish works great. If you’re surfing when it’s windy, typically in the afternoons when the sea breeze rises, then a smoothie finish is worth considering. This smooth finish prevents the chest area of your suit from taking on water. So when the wind’s blowing your core body area has wind chill reduced. If you want to maximise both your time in the surf and your performance during that time, a mid season suit is what you need. In the same way you’ve got boards for different conditions, it makes sense to have the right wetsuits to keep you surfing your best through all environment conditions too.